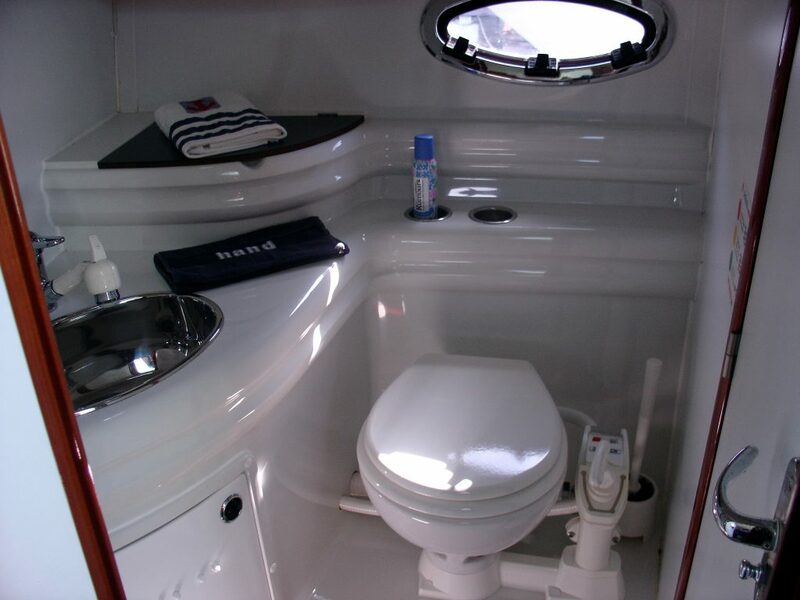 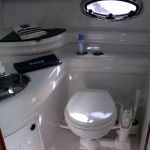 Head to portside with manual toilet, washbasin and shower. 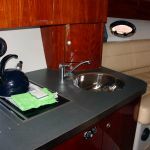 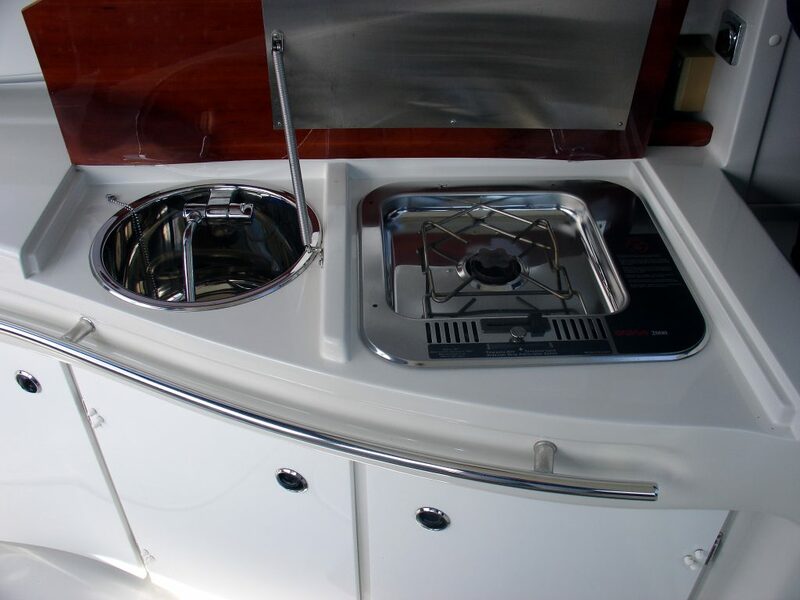 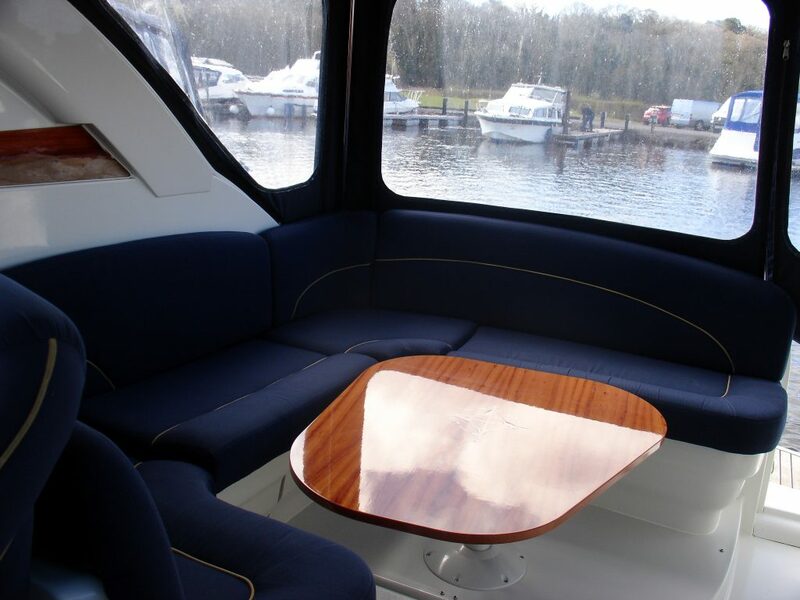 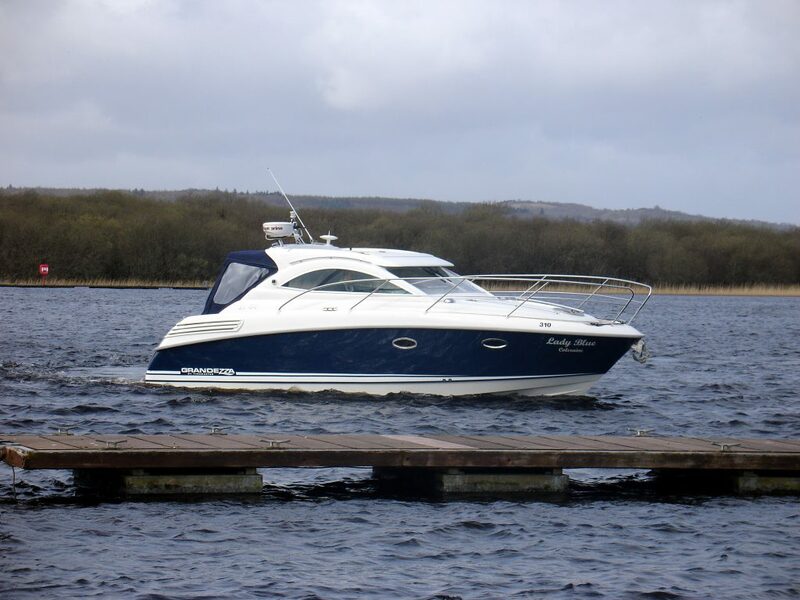 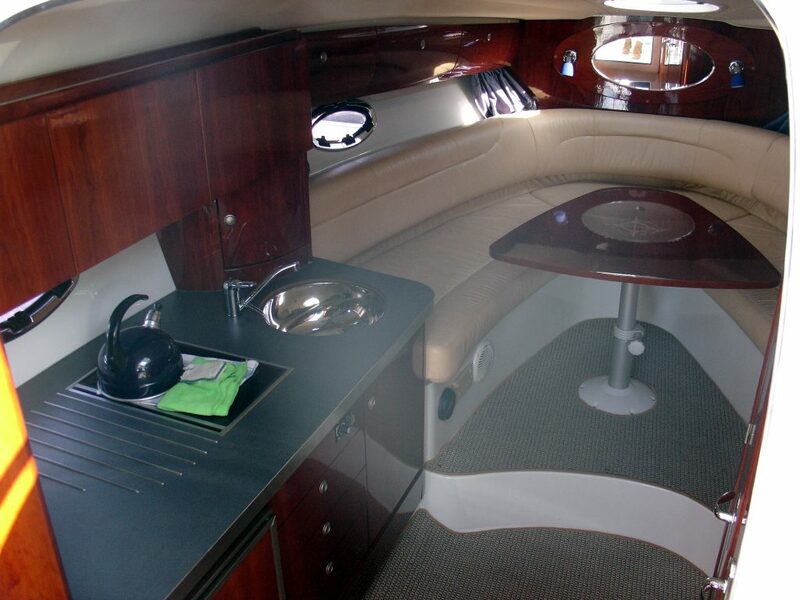 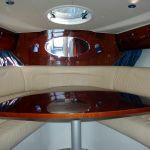 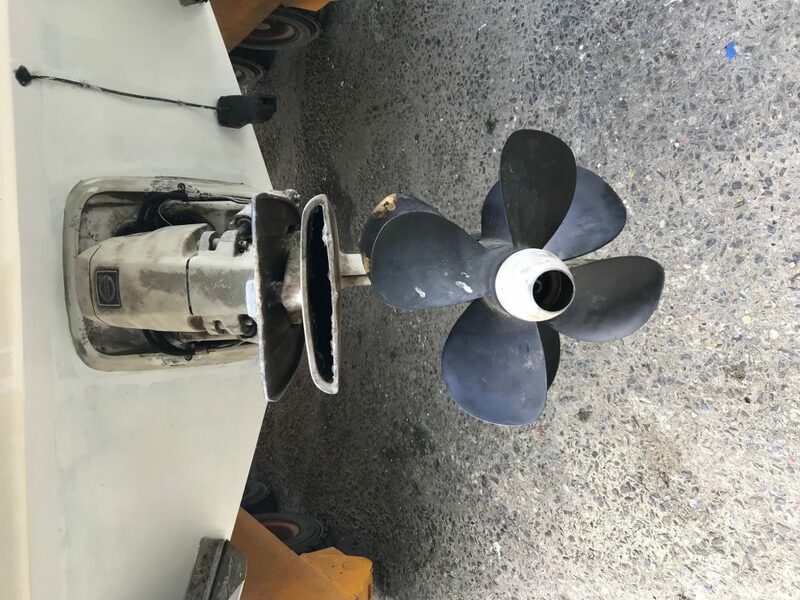 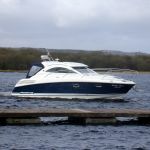 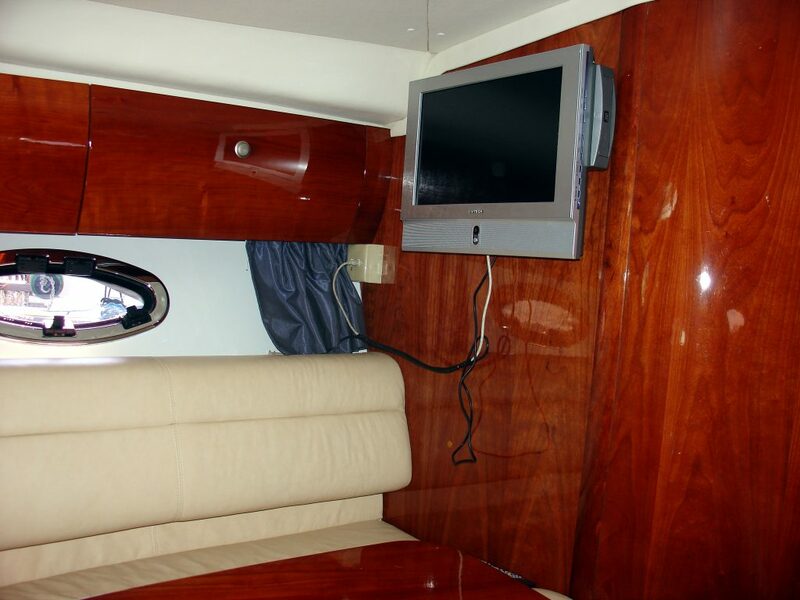 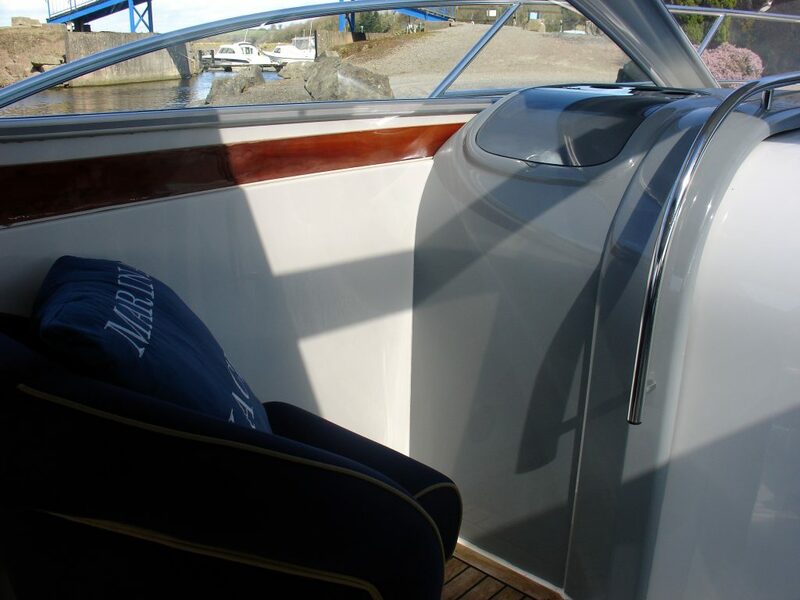 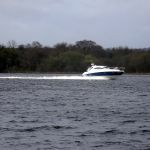 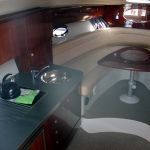 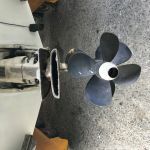 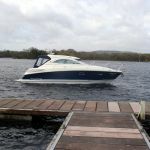 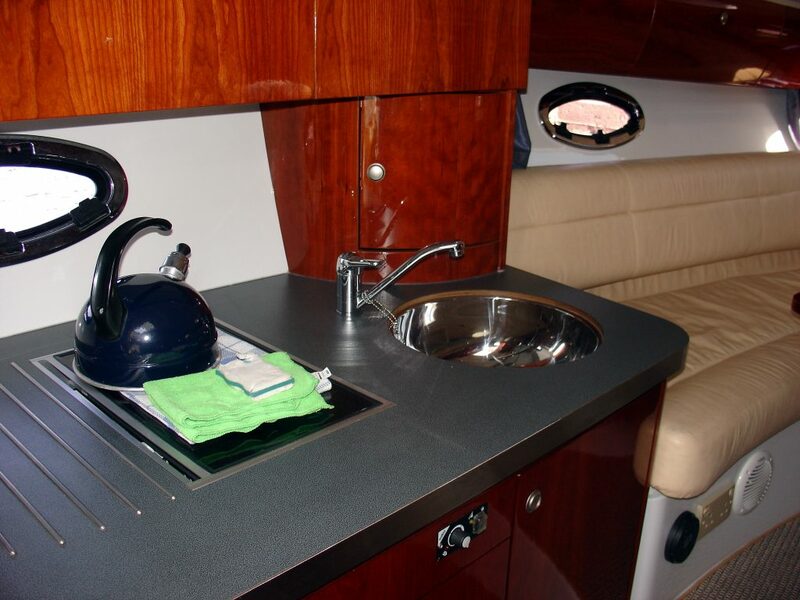 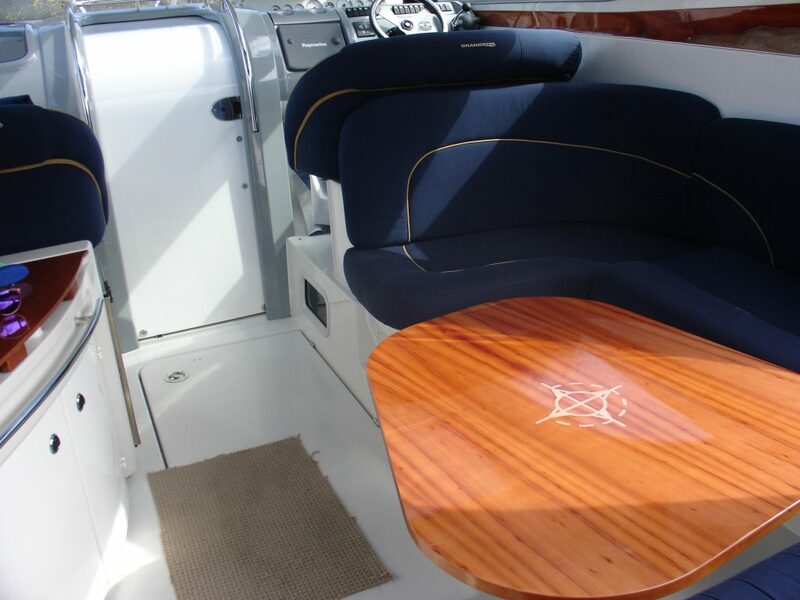 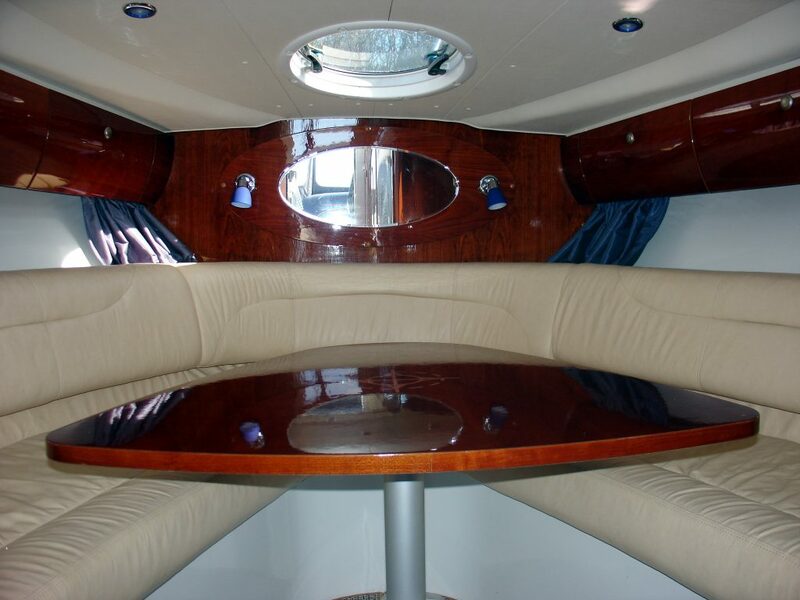 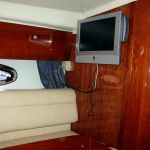 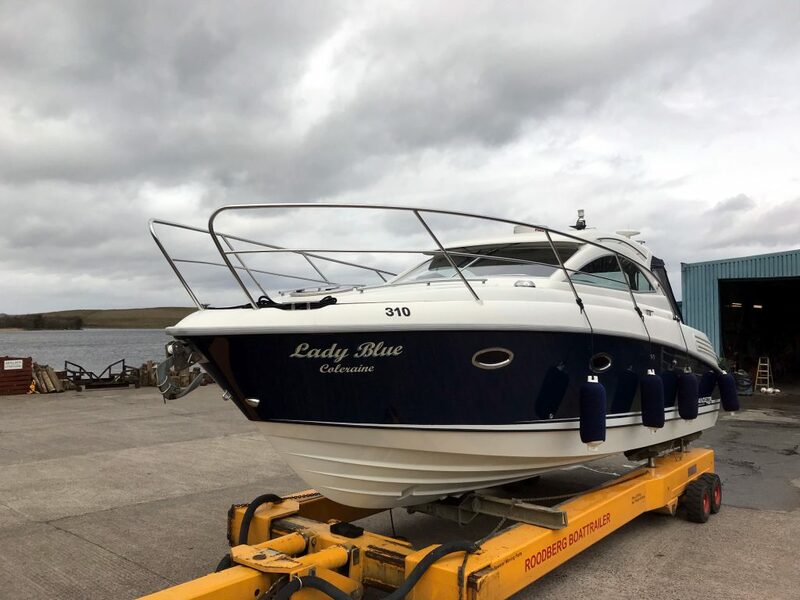 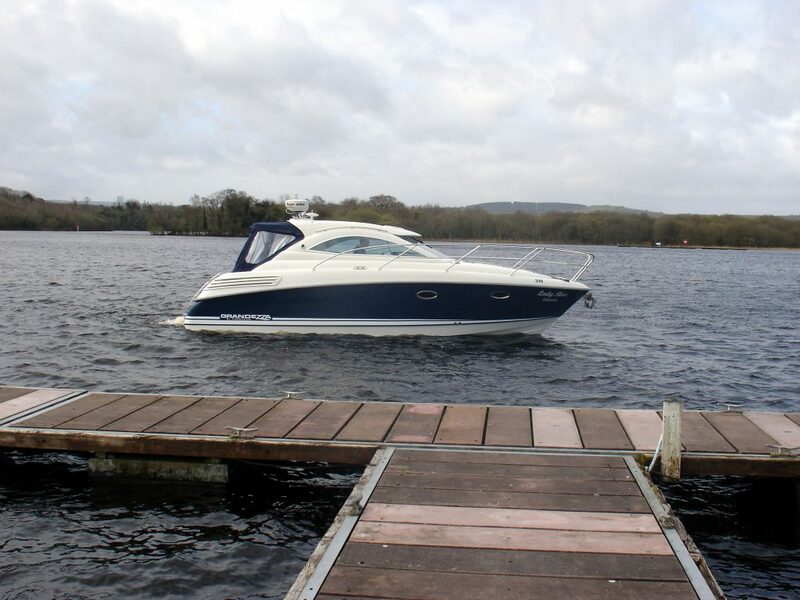 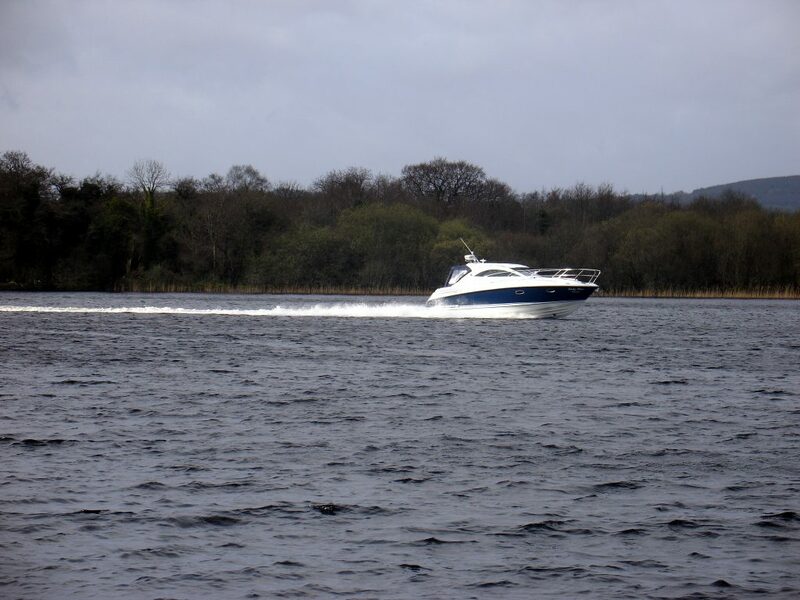 Galley to starboard with stainless steel sink and mixer tap, 2 x electric hob. 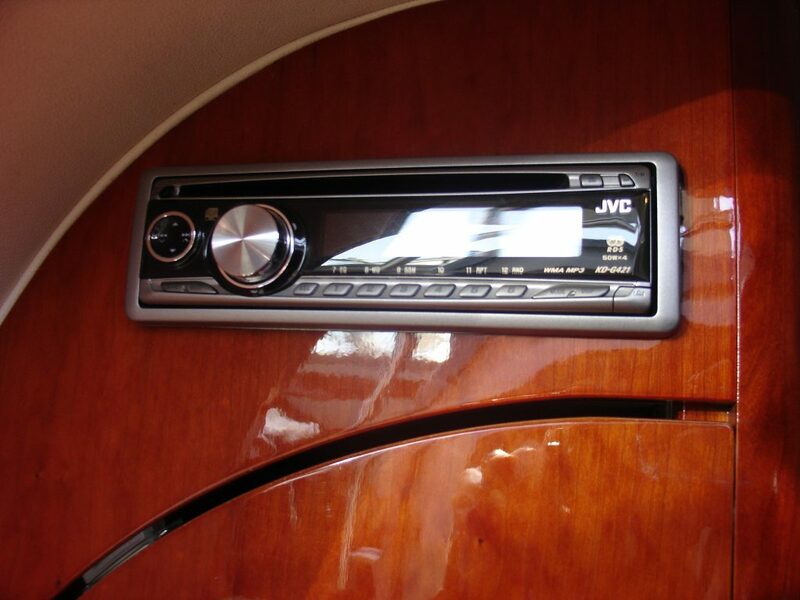 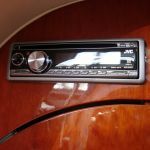 storage, isotherm fridge with ice box, JVC radio / CD player. 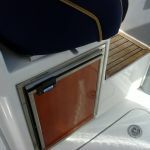 High gloss cherrywood finish throughot. 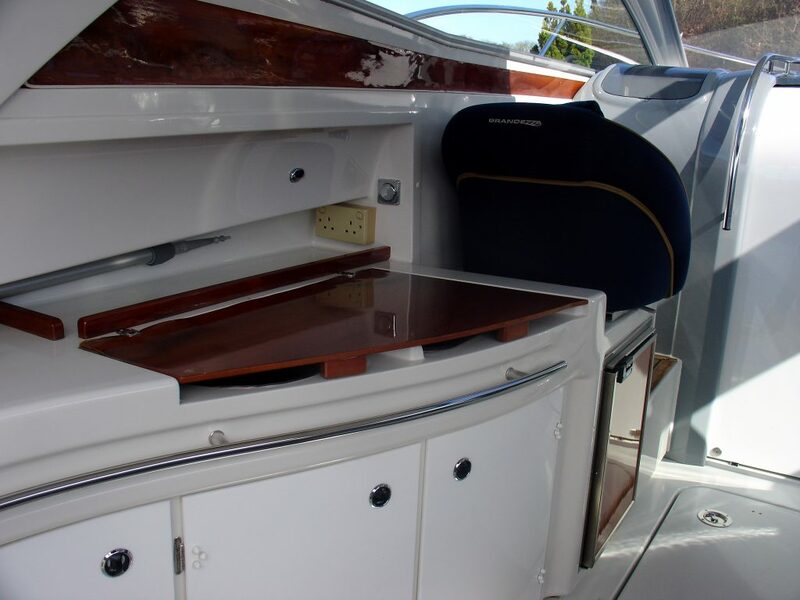 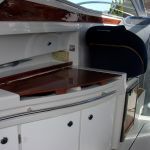 Cabin front portside with double bed and storage cupboard. 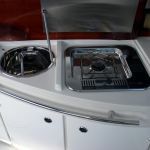 Cockpit with single stainless steel fridge, isotherm fridge and 1 x gas burner hob. 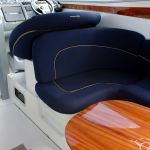 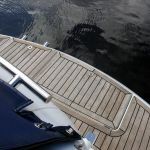 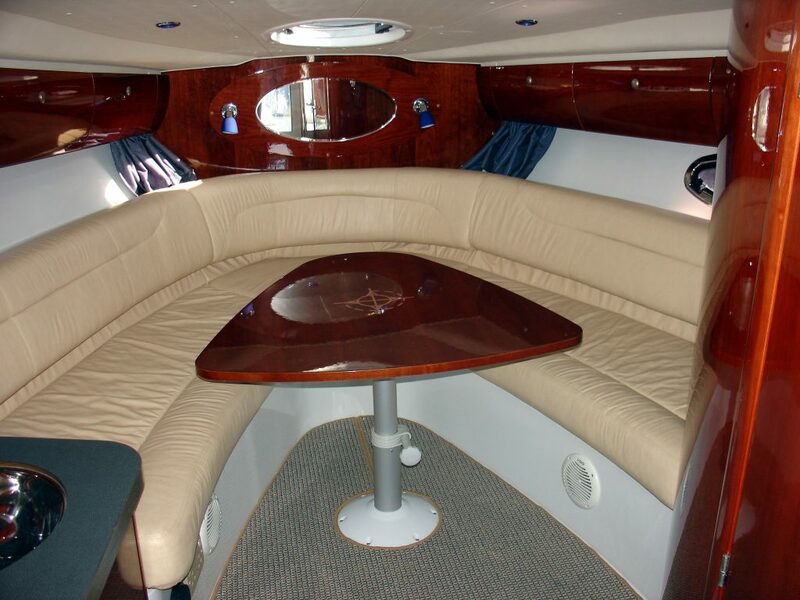 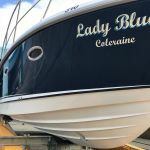 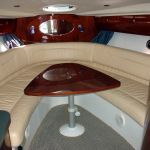 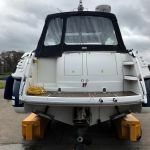 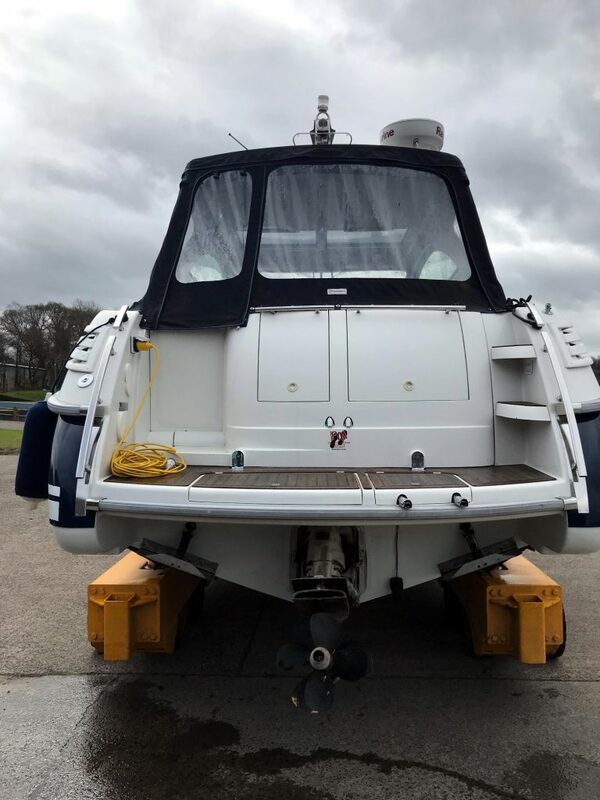 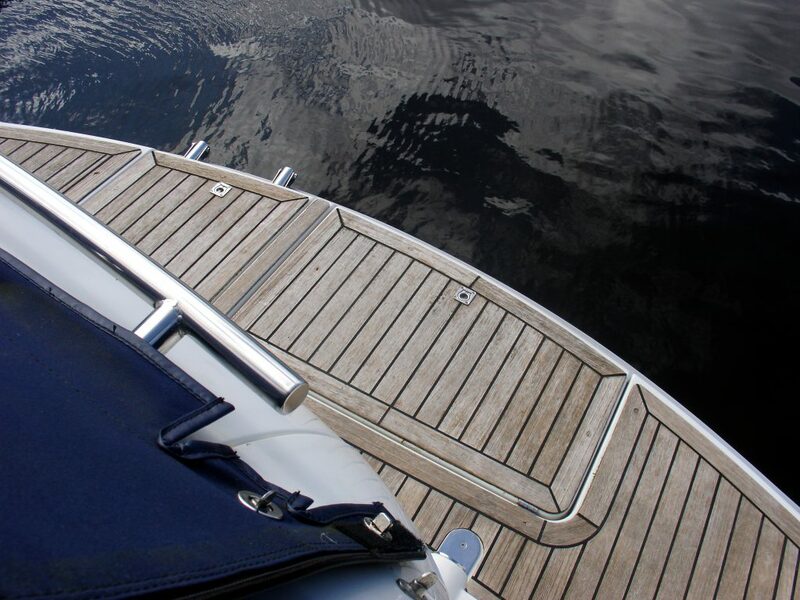 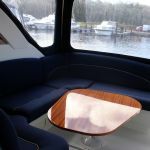 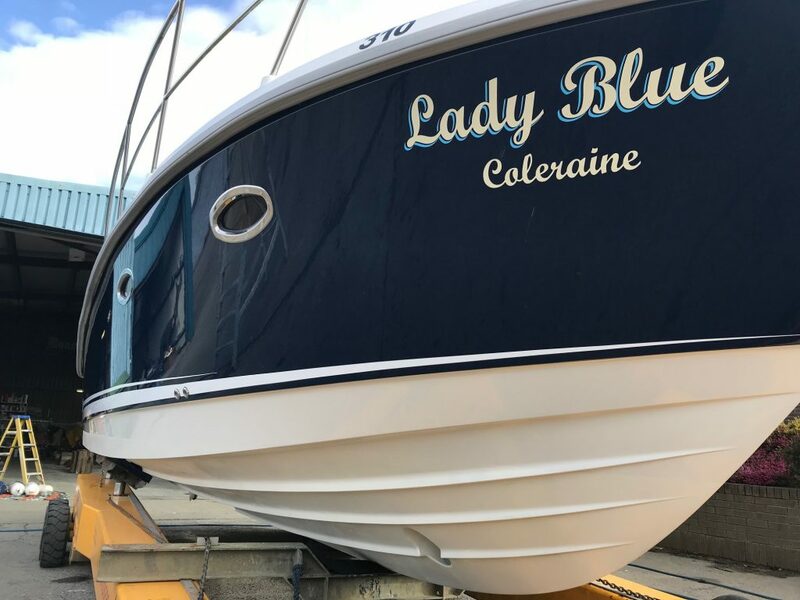 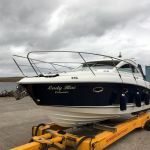 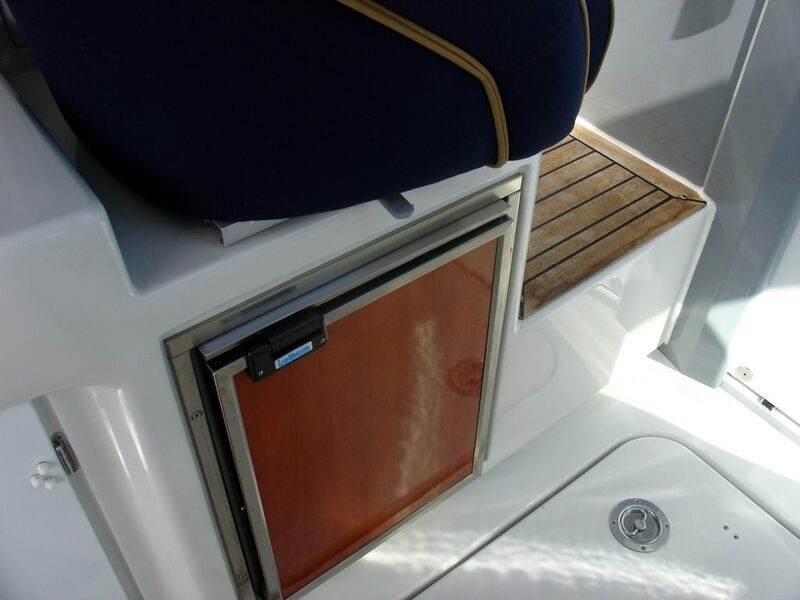 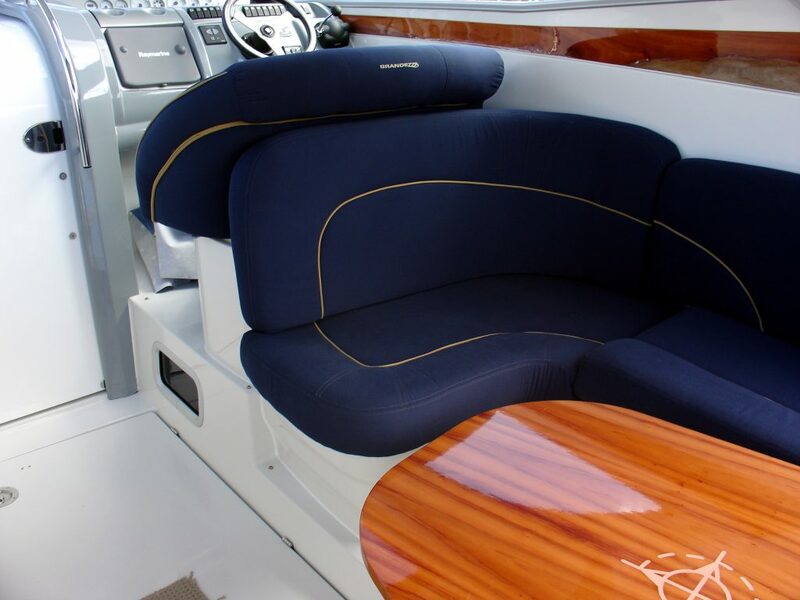 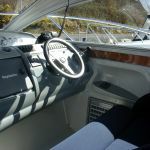 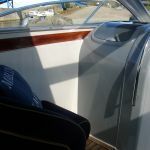 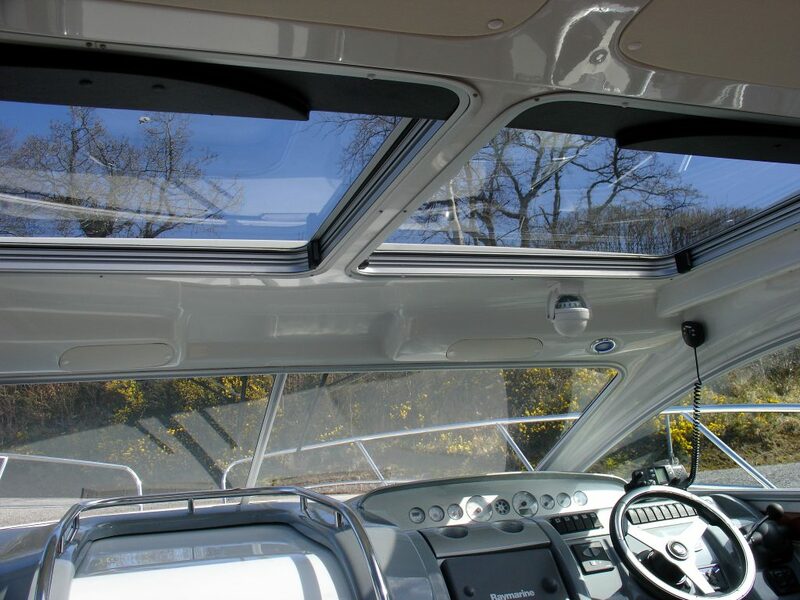 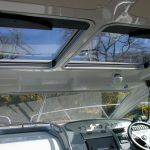 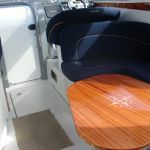 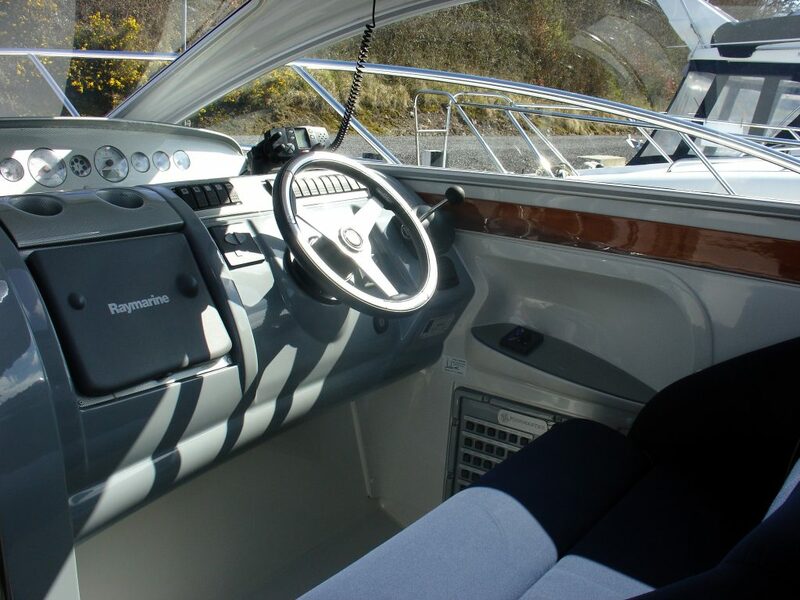 2 x electric sunroof/hatches to helm and navigators seat.